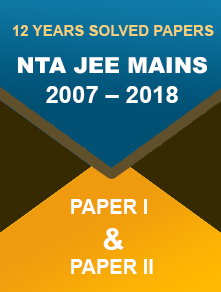 Earlier known as AIEEE (All India Engineering Entrance Examination), Joint Entrance Examination (JEE) Main is an all-India entrance examination conducted by NTA (previously regulated by CBSE). 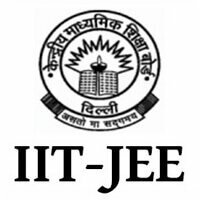 Candidates looking to get into India’s leading engineering institutes like IITs, NITs, IITs, GFTIs and IIEST must clear the entrance test with good score. Qualified candidates will be ranked on both state and all-India basis. They will receive AIR (All India Rank), and SR (State Rank) ranks as per their score. To help them crack the exam, we have furnished the detailed syllabus for Mathematics subject. 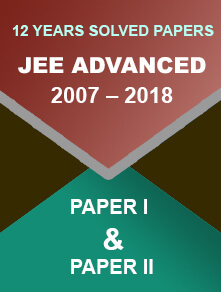 The JEE Main 2019 Mathematics syllabus will tell you what topics or chapters the candidates should cover. Sets and their representation; one-one, into and onto functions, a composition of functions; Power set; Relation, Types of relations, equivalence relations, functions; Union, intersection and complement of sets and their algebraic properties. Representation of complex numbers in the form a+ib and their representation in a plane, Complex numbers as ordered pairs of reals, Quadratic equations in complex and real number system and their solutions, Argand diagram, algebra of complex numbers, square root of a complex number, modulus and argument (or amplitude) of a complex number, triangle inequality. The formation of quadratic equations with given roots, the relation between roots and coefficients, nature of roots. Matrices, algebra of matrices, types of matrices, determinants and matrices of order two and three. Adjoint and evaluation of inverse of a square matrix using determinants and elementary transformations, Properties of determinants, evaluation of determinants, an area of triangles using determinants. Test of consistency and solution of simultaneous linear equations in two/three variables using determinants and matrices. Meaning of P (n,r) and C (n,r), simple applications, the Fundamental principle of counting, permutation as an arrangement and combination as a selection. Binomial theorem for a positive integral index, general term and middle term, Binomial coefficients properties and applications. Arithmetic and Geometric progressions, insertion of arithmetic, geometric means between two given numbers. Sum up to n terms of special series: S n, S n2, S n3. Arithmetic-Geometric progression. The relation between A.M. and G.M. Real-valued functions, logarithmic and exponential functions, trigonometric, polynomials, rational, algebra of functions, inverse functions. Limits, continuity and differentiability. Differentiation of the sum, difference, product and quotient of two functions. Graphs of simple functions. Rolle’s and Lagrange’s Mean Value Theorems. Inverse trigonometric, differentiation of trigonometric, exponential, logarithmic, composite and implicit functions; derivatives of order up to two. Applications of derivatives: Rate of change of quantities, monotonic - increasing and decreasing functions, tangents and normal, Maxima and minima of functions of one variable. Fundamental integrals involving algebraic, exponential, trigonometric and logarithmic functions. Integral as an antiderivative. Integration by parts and by partial fractions, by substitution. Integration using trigonometric identities. Fundamental Theorem of Calculus. Integral as limit of a sum. Evaluation of definite integrals, determining areas of the regions bounded by simple curves in standard form. Properties of definite integrals. Ordinary differential equations, degree and order. The solution of differential equations by the method of separation of variables, the solution of homogeneous and linear differential equations. Formation of differential equations. Cartesian system of rectangular co-ordinates in a plane, locus and its equation, distance formula, translation of axes, section formula, intercepts of a line on the coordinate axes, the slope of a line, parallel and perpendicular lines. Various forms of equations of a line, angles between two lines, intersection of lines, distance of a point from a line, conditions for concurrence of three lines, equations of internal and external bisectors of angles between two lines, equation of family of lines passing through the point of intersection of two lines, coordinates of centroid, orthocentre and circumcentre of a triangle. General form of the equation of a circle, its radius and centre, standard form of equation of a circle, points of intersection of a line and a circle with the centre at the origin and condition for a line to be tangent to a circle, equation of a circle when the endpoints of a diameter are given, equation of the tangent. Equations of conic sections (parabola, ellipse and hyperbola) in standard forms, sections of cones, condition for y = mx + c to be a tangent and point (s) of tangency. Coordinates of a point in space, the distance between two points, direction ratios and direction cosines, section formula, an angle between two intersecting lines. Equations of a plane and a line in different forms, an intersection of a plane and a line, coplanar lines. Skew lines, the shortest distance between them and its equation. An addition of vectors, scalars and vectors, components of a vector in two dimensions and three-dimensional space, scalar and vector triple product, scalar and vector products. Calculation of standard deviation, mean deviation and variance for grouped and ungrouped data. Calculation of mean, median, mode of grouped and ungrouped data. Baye’s theorem, the probability distribution of a random variate, Probability of an event, addition and multiplication theorems of probability, Binomial distribution and Bernoulli trials. Trigonometrical equations and identities. Trigonometrical functions. Heights and Distances. Inverse trigonometrical functions and properties. Statements, logical operations or implies. Understanding of converse, contradiction, tautology and contrapositive. There are two papers – Paper I and Paper II – for the Joint Entrance Examination Main. The Paper I is conducted for the B.Tech/B.E aspirants. The Paper II is held for the B.Planning/B.Arch programmes. From the academic year 2019, the National Testing Agency will regulate the Joint Entrance Examination Main two times in a year (January and April). Students are allowed to take both the exams; the scorecard that would get the highest marks would be considered for admission into the elite technical colleges.